Real Madrid have finally announced their official schedule for their 2015-16 pre-season tour. The Merengues will be playing 7 friendlies across 4 different countries, starting on July 18 against AS Roma, and finishing on August 9 against Valerenga. The summer break is almost over and every Real Madrid fan around the world is certainly excited to see their team kicking off with the 2015-16 pre-season tour. The 10-times European champions will travel to 3 different continents, 4 countries and 5 cities. With Benítez leading his new troops, this new adventure will initiate on July 10, the date set for the players to start gathering in Madrid (at Valdebebas). In the following couple of days, Cristiano Ronaldo and his teammates will have to go through the standard medical exams, at the same time they'll also get a first chance to see what a training session with Rafa Benítez looks like. 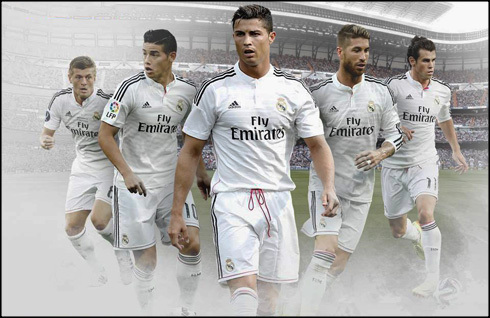 On July 12, the team flies over to Australia in order to kickoff with Real Madrid's pre-season tour 2015-2016. Over the last years, it's been quite usual to see most of the top European teams visiting different continents during their pre-seasons, with the main purpose of better marketing their businesses. It's certainly no different with a powerhouse like Real Madrid, and this summer the Merengues will be traveling to 3 different continents, totalling more than 44.000 km in the air within only 22 days. The first flight will take Cristiano Ronaldo and the rest of the Merengues entourage from Madrid to Melbourne in Australia. In the "kangoroo's land", the Spanish giants will meet AS Roma on July 18, in what will be their debut game at the International Champions Cup. Six days later, on July 24, Real Madrid goes head to head with Manchester City in the very same stadium of their first game, the Melbourne Cricket Ground. Later that day (July 24), Real Madrid will leave Australia and head to Guangzhou, in China. They'll go through a few training sessions in the following two days, just before taking on Inter Milan on July 27, at the Tianhe Stadium. Without much time to lose, the Merengues will travel to Shangai shortly after the game. There, the routine will be very similar to the one in Guangzhou, as the team will have two days reserved for training sessions and then lock horns with AC Milan on July 30, at the Shangai Stadium. Things will start slowing down a bit after China, with the team flying back to Madrid on July 30, where they are expected to land on the day after. They'll then enjoy a very short break of 2 or 3 days, just in time to regroup and compete in the Audi Cup in Munich, Germany. On that tournament, Real Madrid will have to face Tottenham at the Allianz Arena on August 4, and then right on the day after (August 5), they will take either Bayern Munich or AC Milan, depending on the results from these 2 games. Finally, the Merengues will return to Madrid on August 5, where they'll complete another set of intense practices until they get into their last flight of their pre-season 2015-2016 tour. On August 9, Ronaldo and his teammates will travel to Olso in Norway, where they'll play their last friendly of the summer against Valerenga, at the Ullevaal Stadium. The football season for Real Madrid then starts officially on August 15, with the debut of La Liga in Spain. The Spanish League fixtures are expected to be announced on July 23. 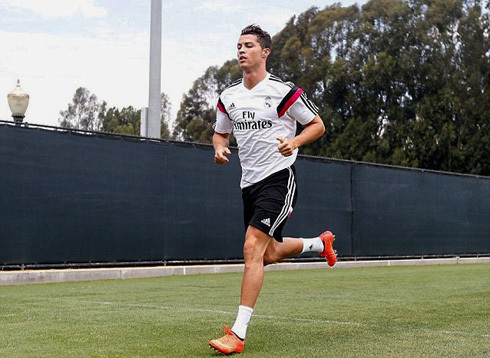 Cristiano Ronaldo next game will be for Real Madrid in a pre-season friendly, on the 18th of July of 2015. You can watch Juventus live stream, Real Madrid vs AS Roma, Peru vs Paraguay, Chile vs Argentina, USA vs Honduras, and Panama vs Haiti, all matches provided from our football live streams section.